Injury to the anterior (front) cruciate ligament (ACL) is very common during sports and exercise that involve twisting and pivoting, for example football, rugby, netball, basketball and gymnastics. It usually occurs as a result of a twist on a planted foot either with or without contact from a tackle. Patients often hear a pop or snap and feel immediate pain, they fall over and are unable to walk off the pitch or carry on the game. The knee becomes swollen and stiff for around 2 weeks and then settles. Once the cruciate ligament is torn it does not heal. Some patients have no problems in daily life, many however have episodes of the knee giving way during sports or twisting activity. Repeated giving way can cause further (secondary) damage to the knee tearing the cartilage (meniscus) or damaging the joint surface. The treatment for repeated giving way (instability) is a cruciate reconstruction operation. This is performed arthroscopically (key hole) as a day case procedure. 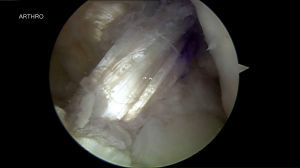 Your torn ligament is replaced with a new graft taken from your hamstring tendons or your patella tendon. In revision (redo) situations a cadeveric graft may be necessary. The position of the reconstructed ligament within the knee is crucial to the prospects of making a full return to sport and normal activities. 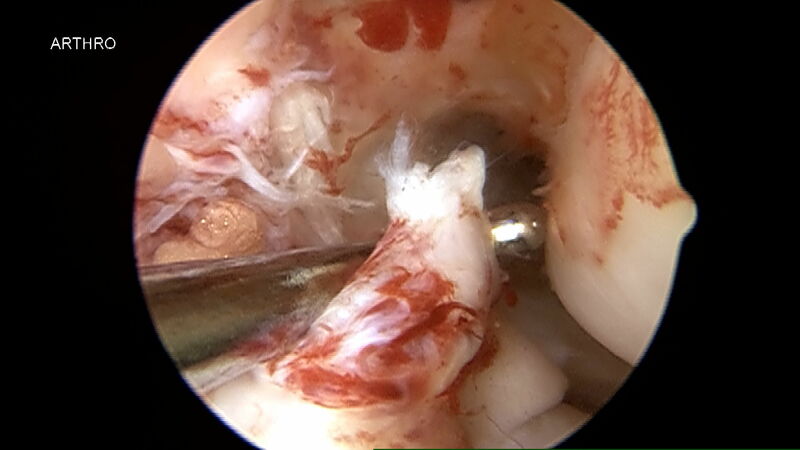 Our surgeons utilizes advanced techniques to ensure that the new ligament is in an anatomic position to give the best possible results from surgery. The operation is performed under a general or spinal anaesthetic as a day case. You can walk on the leg straight away but it will be painful and swollen for a few weeks. You do not require a brace or splint. There are risks to the operation and you will be counselled pre operatively with regards to what to expect.